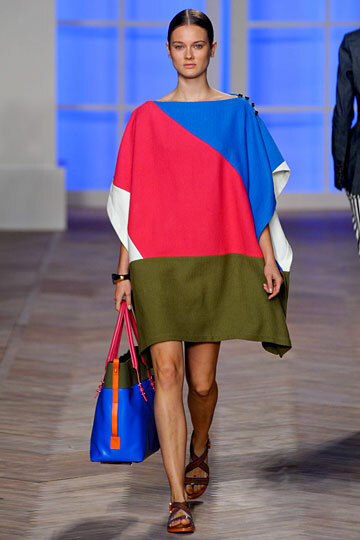 Stripes were the star of Tommy Hilfiger’s latest walk on the runway, making an appearance in ponchos and perfectly executed cigarette pants. 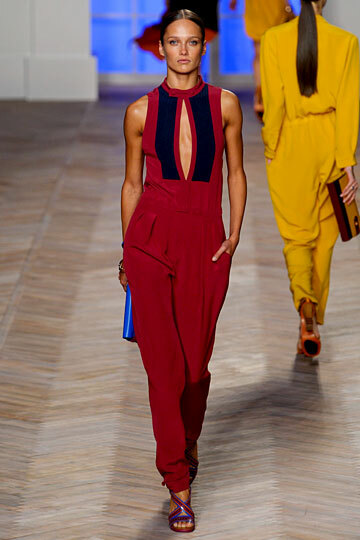 The most successful elements were the solid and printed jumpsuits where Hilfiger made an already fun trend scorching hot. 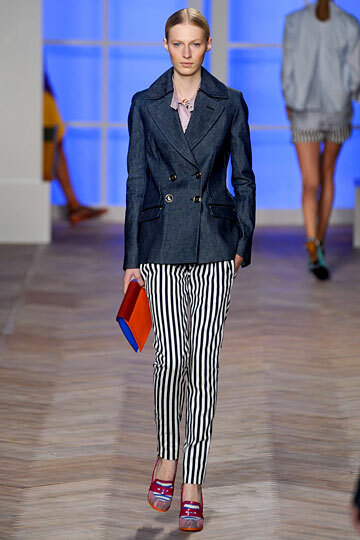 While there were some misses in the form of a boring plaid print we’ve all seen too many times, all in all Hilfiger made it work.